I was recently asked to review Irwin Cohen's new book, Jewish History in the Time of Baseball’s Jews: Life On Both Sides of the Ocean, for the Michigan Jewish Historical Society's upcoming annual journal. Cohen, who writes for the Jewish Press, is a baseball maven and a history buff who has chronicled Detroit's Jewish history and also worked for a time in the front office of the Detroit Tigers organization. I immediately agreed to write the review and an inscribed copy of the book arrived at my office a few days later. As I sat down to read Cohen's book, which focuses on both baseball history and modern Jewish history with a special emphasis on the Holocaust, I thought back to this past winter when members of the Detroit Tigers coaching staff and front office were invited to the Holocaust Memorial Center here in Detroit, the country's first free-standing Holocaust memorial museum. The HMC was included for a site visit on the Detroit Tigers Winter Caravan, a week-long publicity tour to get local fans in Michigan excited for the upcoming season. Some cynically said that the only reason the Tigers were visiting the Holocaust Memorial Center was as a good faith effort after former Detroit Tigers player Delmon Young's anti-Semitic slurs in New York City last season. That might have been part of the reason for the visit, but after reading Cohen's book it is evident that Major League Baseball has historically been a part of the narrative of Jews in America and what happened on the other side of the ocean during the Second World War will forever be part of baseball's history as well. Cohen accurately shows how understanding the history of Jewish baseball players leads to a better understanding of modern Jewish history and the lessons of the Holocaust. Below is my review of Irwin Cohen's new book, which I highly recommend. Someone recently asked me in which year I spent my first summer as a camper at Camp Tamarack. I didn’t recall the exact year, but I was able to figure it out using baseball history. I remembered the Tigers were battling it out in the division with the Baltimore Orioles that summer and that the Orioles ultimately won the pennant. Ah, it must have been 1983, the year before the Tigers won the World Series. It’s not uncommon for us to measure time and recall the events of our lives and in the world around us based on the American pastime of baseball. 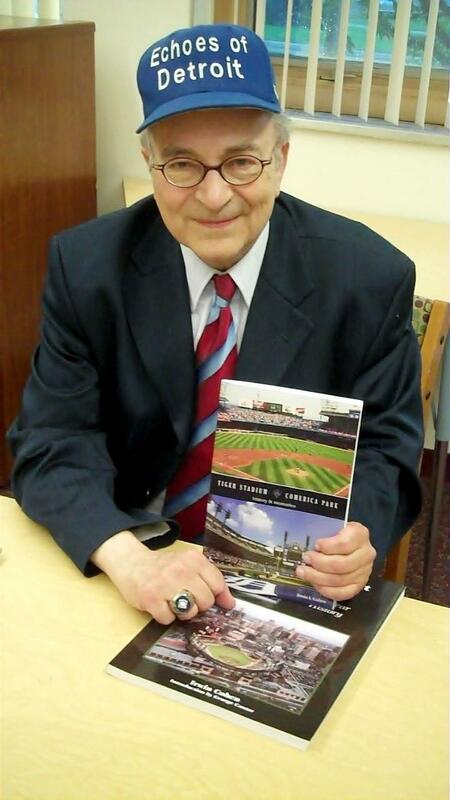 Local Detroit historian and baseball aficionado Irwin Cohen has developed that concept into a book. In “Jewish History in the Time of Baseball’s Jews” (2013: Boreal Press), Cohen puts baseball into a historical context while focusing on Jewish baseball players and the events since 1900 that have shaped our Jewish lives. A strong advocate for Israel, Cohen wisely educates about Israel’s history and its struggle for acceptance while providing an interesting history of the effect baseball has had on Jewish life and Jewish culture. Getting young people to read a lackluster history book is challenging, but this book reads like a Who’s Who of the greatest Jewish baseball players while also providing an insightful summation of the pertinent historical events of the 20th and the beginning of the 21st century. Cohen doesn't shy away from discussing anti-Semitism and anti-Israel sentiment in baseball. He recalls how several Jewish baseball players in the early 20th century changed their last names to avoid antagonism. He also tells the story of when he was working for the Detroit Tigers organization in 1991 during the height of the Gulf War crisis and Bo Schembechler, then the President and COO of the Tigers, looked at Cohen and said, “You are going to get us into a war,” as if Cohen represented Jews or Israel. While it’s not a story that casts Schembechler in a good light, Cohen uses it as an example that anti-Israel remarks like that are anti-Jewish as well. Cohen’s agenda appears clear in this book. He seeks to educate the reader about Jewish history (both in America and on the other side of the ocean as he refers to Eastern Europe), the role that anti-Semitism has played in baseball – America’s pastime, and how baseball has inserted itself in important ways into not only Americana, but also into the life of Jewish Americans. When it comes to putting Major League Baseball into a historical context and painting baseball history on the same canvas as Jewish history, there is simply no better historian, scholar or chronicler than Irwin Cohen. Had such a history book existed when we were all children – one in which baseball history is interwoven with general history – imagine how many more young people would have enjoyed their history lessons. Just when you think you're reading a book about the Holocaust or Israeli history for Hebrew School, a wonderful anecdote about a Jewish baseball player appears. That is the magic of Irwin Cohen’s masterful writing ability. Baseball is evidently part of Jewish history, and Jewish history has claimed more than just a footnote in the history of baseball.